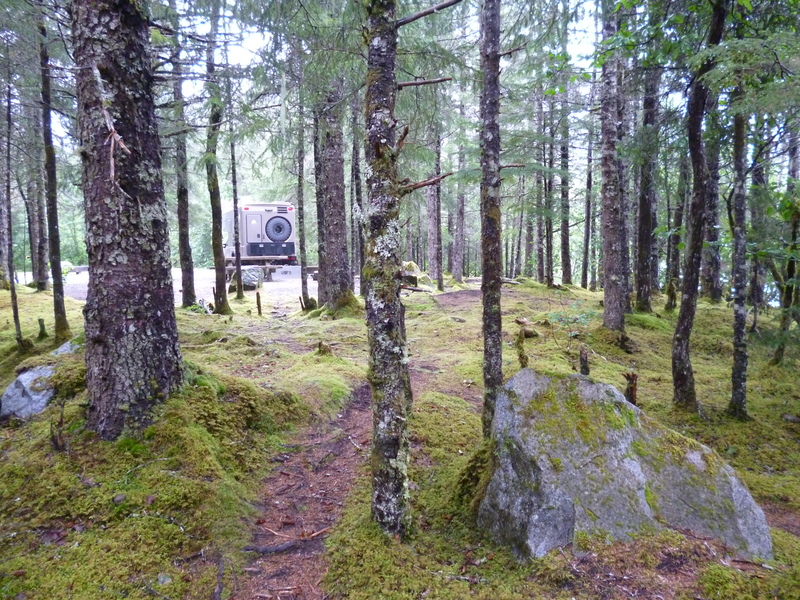 Getting to Sitka turned into a story all its own. 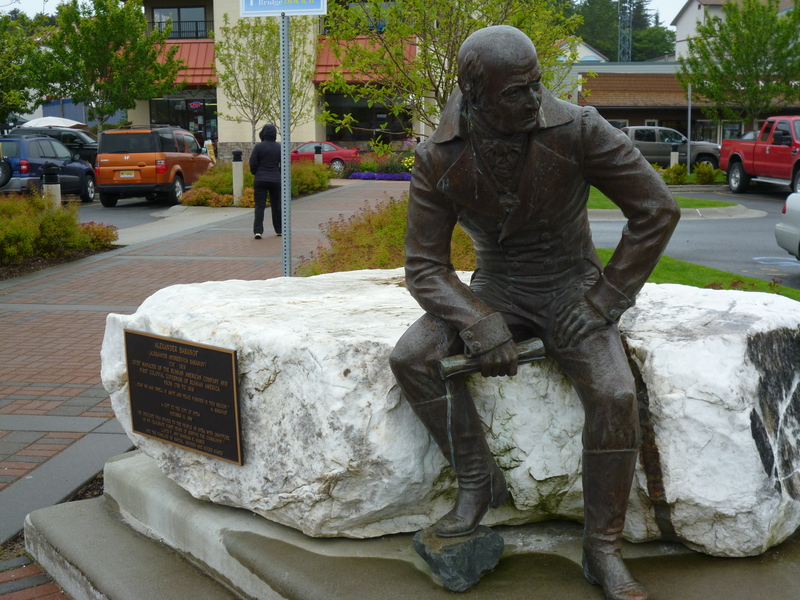 Sitka was the capital of the 1800 Russian-American territory and the place where the transfer of power took place when Alaska was sold to the US. Therefore, it was rich with history and a place we wanted to see. 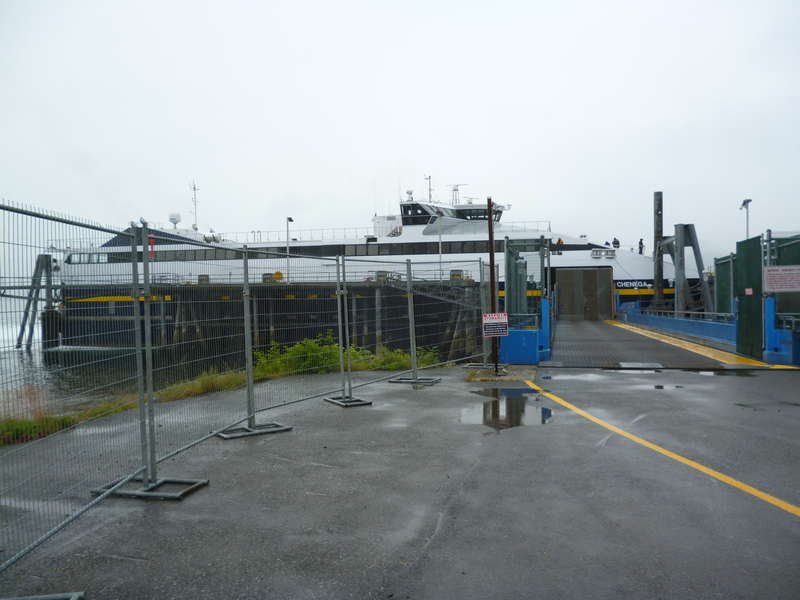 Our original ferry from Ketchikan to Sitka was cancelled so we were rerouted all the way to the end of the Bellingham route at Skagway and then back to Sitka on the return trip of the ship to Bellingham, adding two more interesting days to our ferry ride at no cost. However, on the return leg the ship developed an engine maintenance issue and was held in Juneau for repair, one stop short of Sitka. 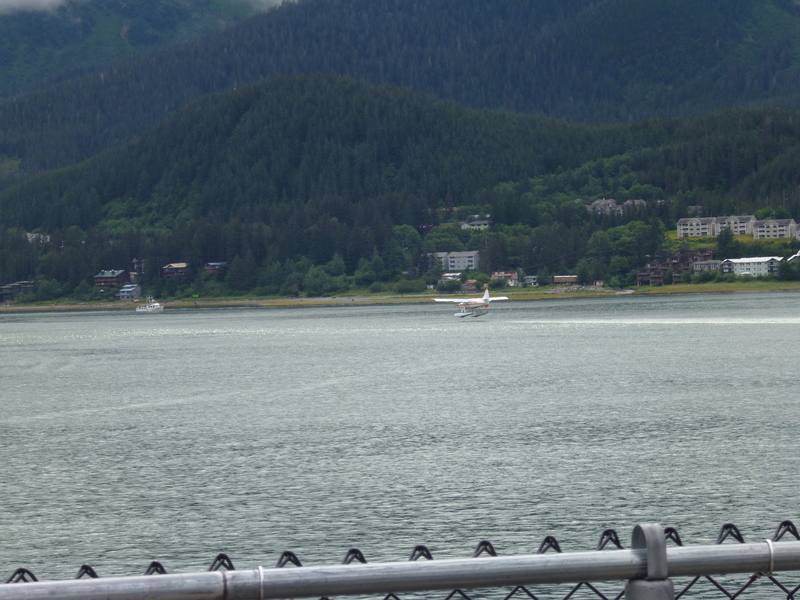 The ship was fixed, but we missed the tides so we were going to be held in Juneau for a few more hours, we thought. By now we had gotten to know the crew pretty well so when I went to check on our departure one of the crew pulled me aside and gave me a, “now I’m not telling you what to do but….” talks. Turns out making it back to Bellingham on schedule is top priority and Sitka is way out of the way. The ship was going to be held in Juneau until the USCG could inspect the engine fix the next morning so all the stops between Juneau and Bellingham were going to be cancelled. All people and cars getting off at any of those stops were about to be booted off in Juneau. The nice heads-up talk allowed Pam and I to go ashore to the terminal and work our re-rerouted plan with the great folks at the counter way before others even knew what was coming. Rebooking walk-on passengers is easy and even folks with cars not too bad, but getting a 26 foot camper rescheduled is not something that can be done easily, but it worked. 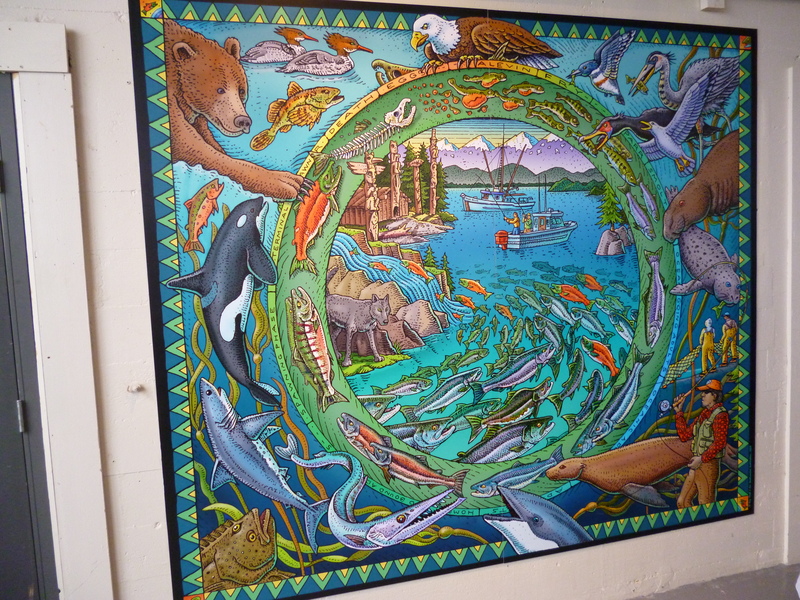 Because we have no defined timeline for our trip we slid our three remaining ferry routes by a day and left the next morning on an express ferry to Sitka, with a free meal on the ship that night and reimbursed for the room from the Juneau to Sitka leg. The real bonus of the change is that the M/V Chenega makes the trip from Juneau to Sitka in 5 hours instead of the M/V Columbia time of 10 hours. We loaded the Roamer the next morning onto the ship and left the M/V Columbia and Juneau behind at very high speed. The trip to Sitka was beautiful. 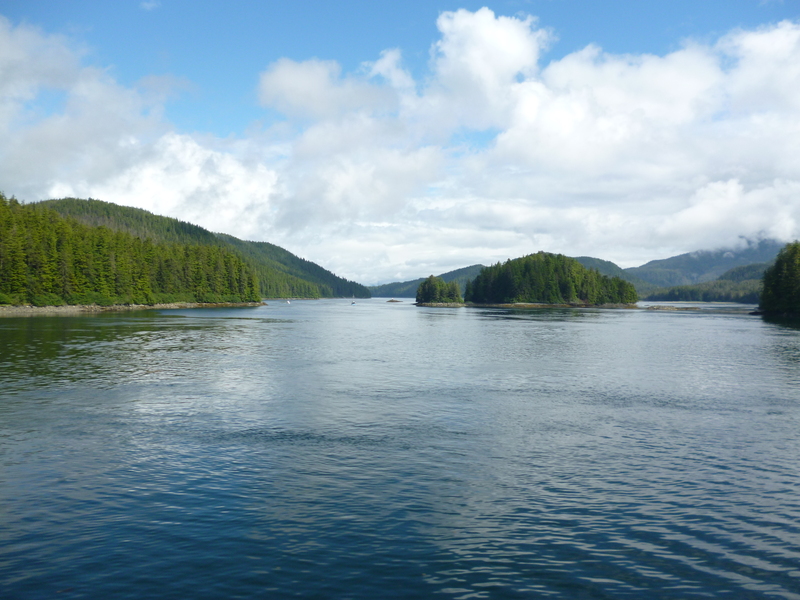 The sun finally broke through the clouds and the route cuts through some relatively small passages between the forest-covered islands to arrive at Sitka without having to travel any open ocean segments. 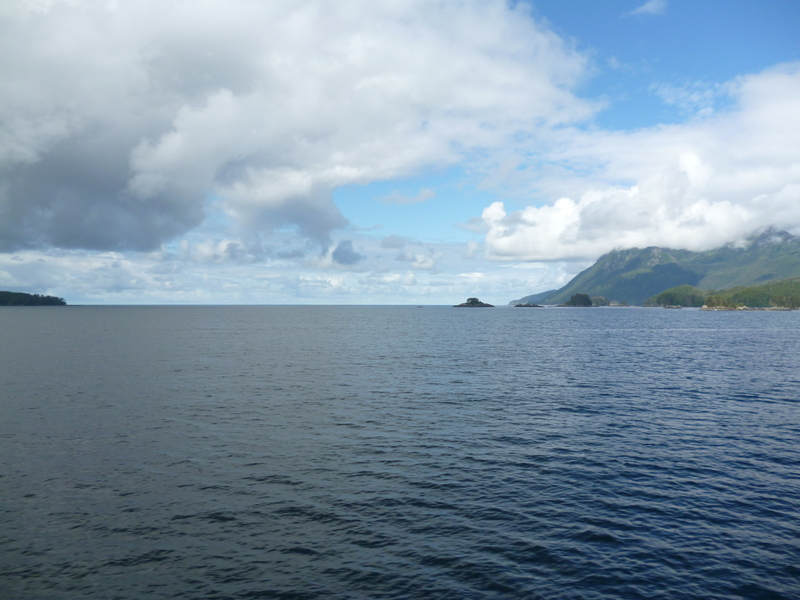 Sitka is located on the Pacific Ocean side of the Baranof Island. 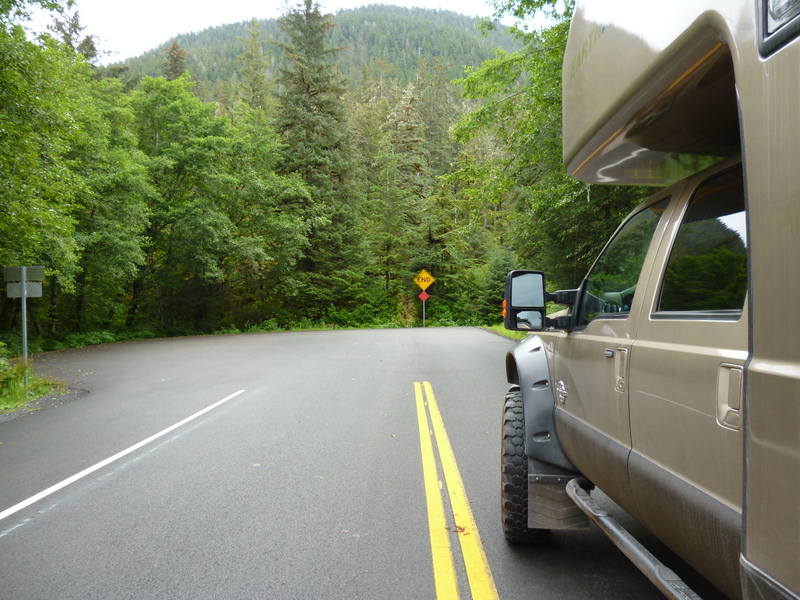 There are not many miles of paved roads in Sitka and our campground was literally at the end of the road. 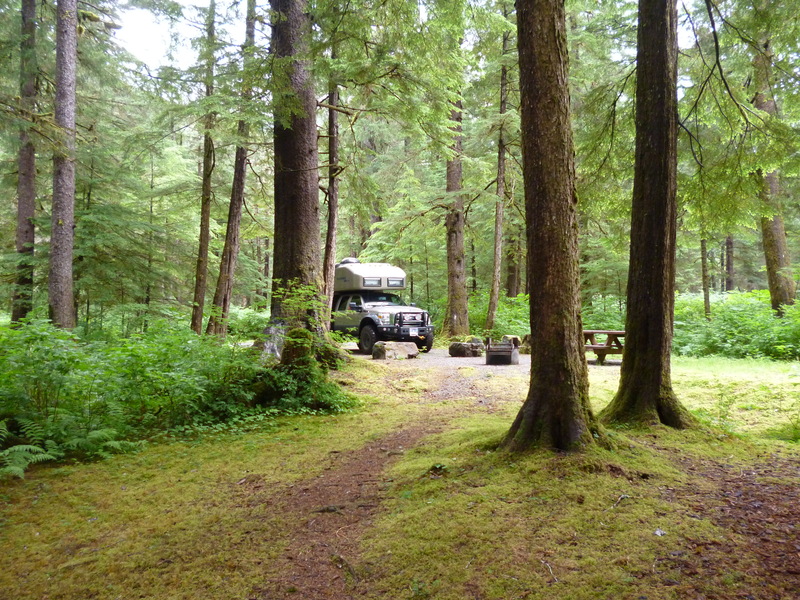 The Starrigaven campground, located less than 10 miles from downtown Sitka, is in a rain forest and was a nice spot while in Sitka. However, it did live up to its name the second night with a constant drizzle the entire night. 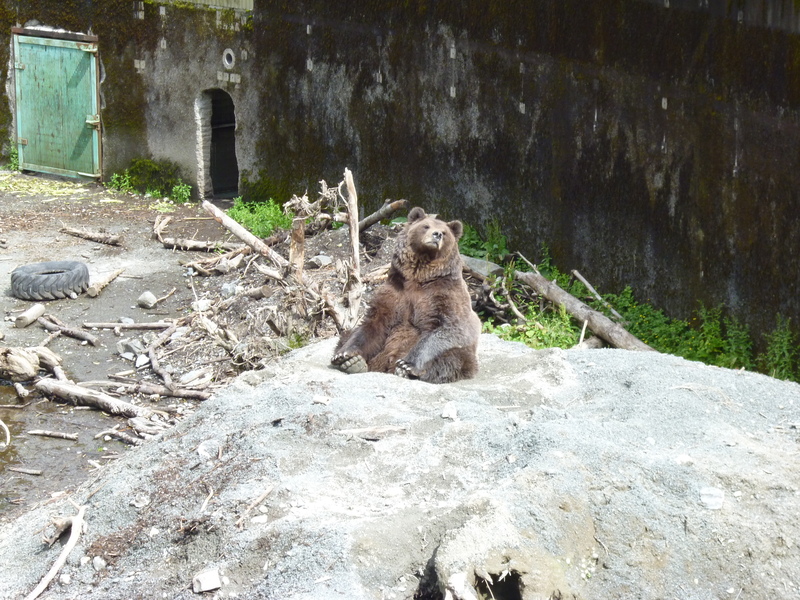 We drove to the other end of the road on the other side of Sitka, where the “Fortress of the Bear” is located, a bear rescue habitat that takes in displaced black and brown bear cubs. 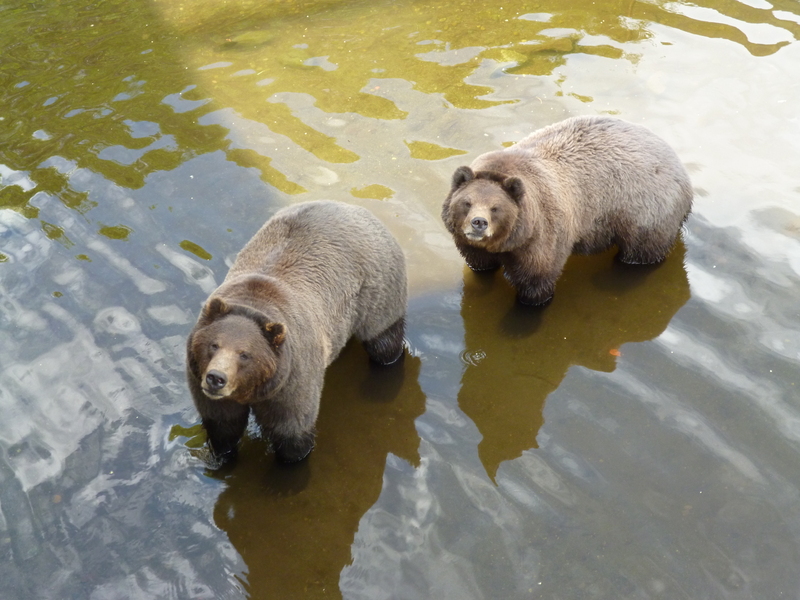 They have three black bear and five brown bear permanent guests that were great to see. They were mostly brothers and sisters from killed mother bears. 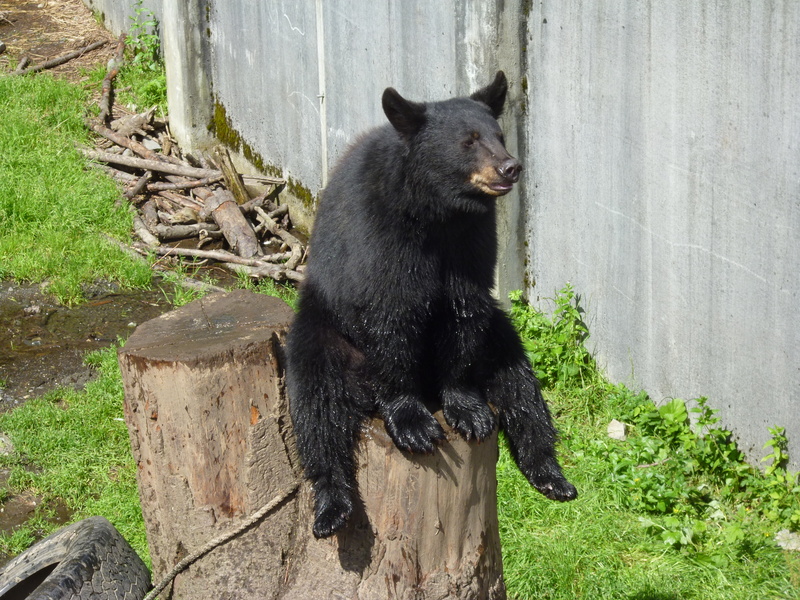 The black bears were similar in size to the ones we saw in California, 150 to 250 pounds, and were playing “king of the hill” for most of the time we were there. 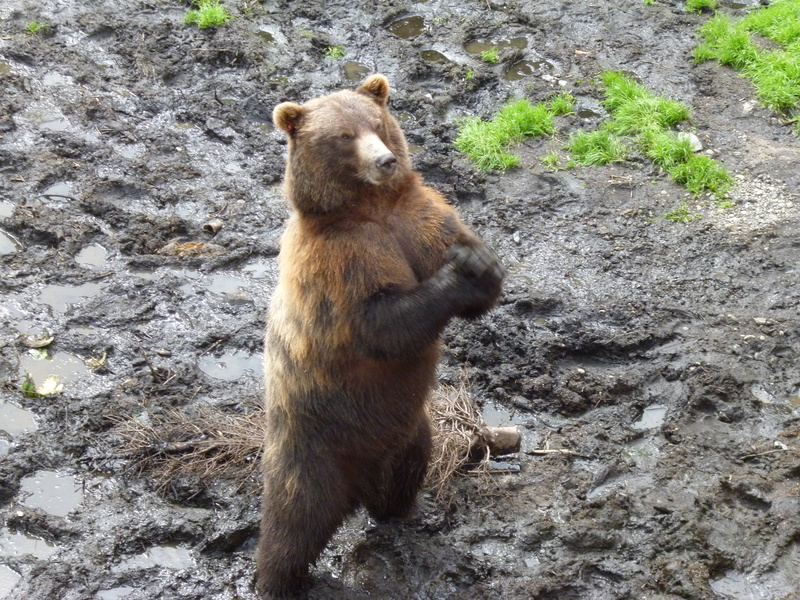 The grizzlies were just huge, where the big males were close to 1000 pounds and four feet tall at the shoulder. 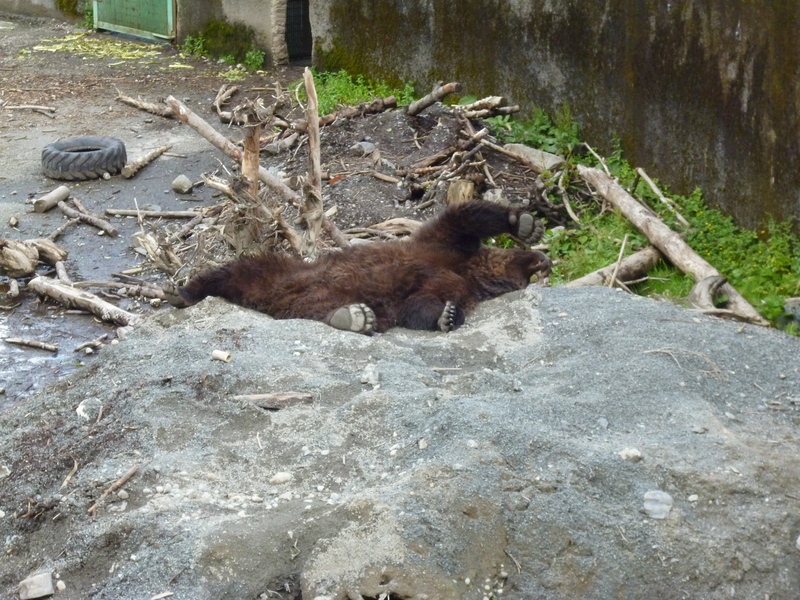 We were most impressed by how agile they were while climbing up, on and around the various things in their enclosures. 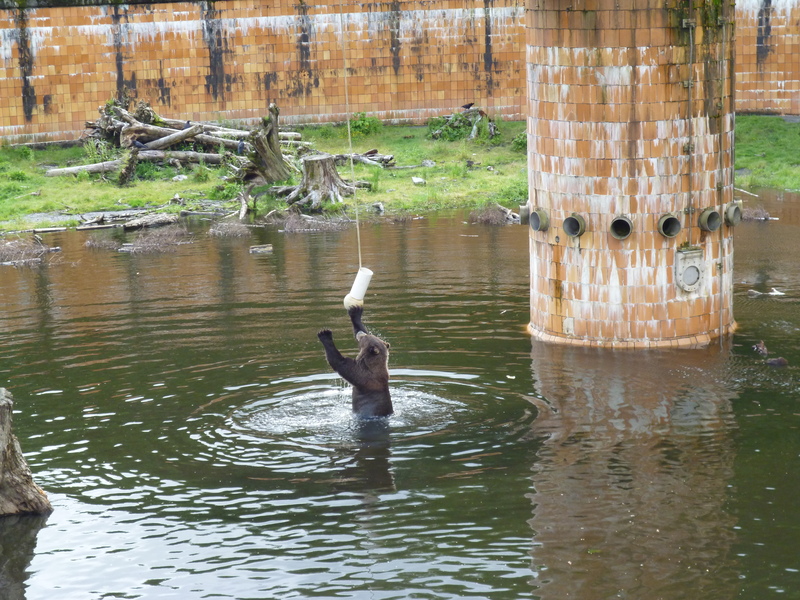 The grizzlies had a volleyball tetherball filled with dog food for their snacking game in one of their enclosures. We got there just after lunch, and once the sun hit it was nap time. 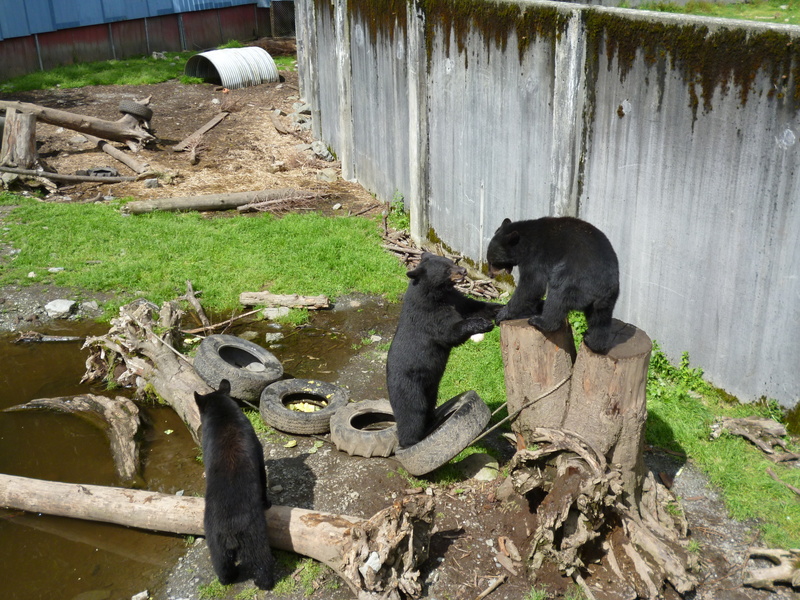 The smaller female bear had learned to use sign language to ask the folks for more food since her brothers had eaten most of it. We visited the Alaska Raptor Center next. They rescue mostly eagles given the large number in the area, and other raptors as well. Many were permanent guests due to the injuries that landed them at the rescue center. 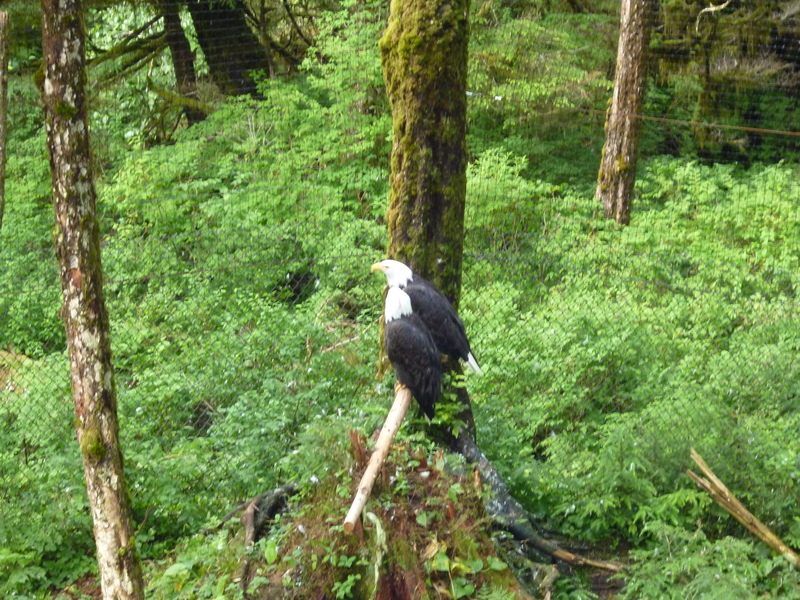 The eagle enclosure had a fence around it to keep land predators out, but did not have a roof. The recovering birds could not fly away so the open enclosure allowed other local eagles to stop in and visit, which they did. 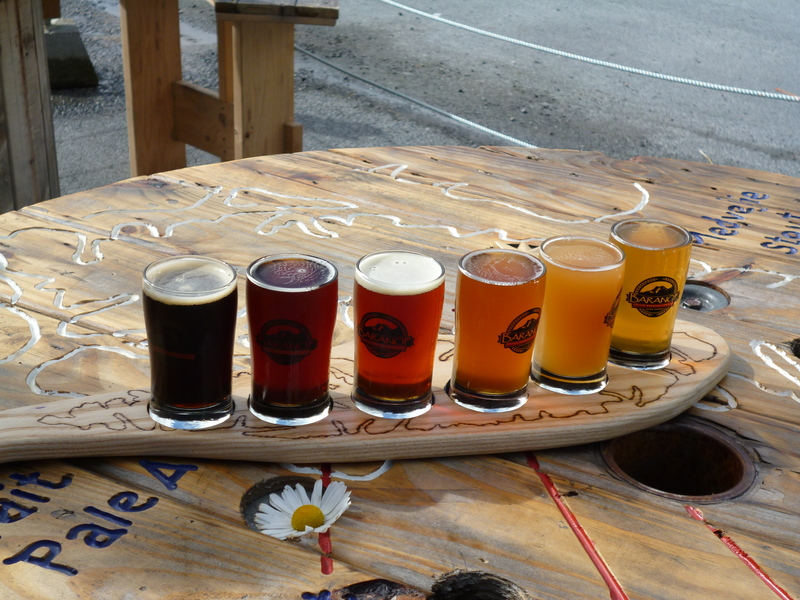 We met a nice local couple at the Baranof brewery following our first day’s travels and traded them two nice filet cuts of meat we had for two huge salmon fillets and a couple of cooked crabs. We ate the crab that night at the campsite’s picnic table next to a nice campfire. 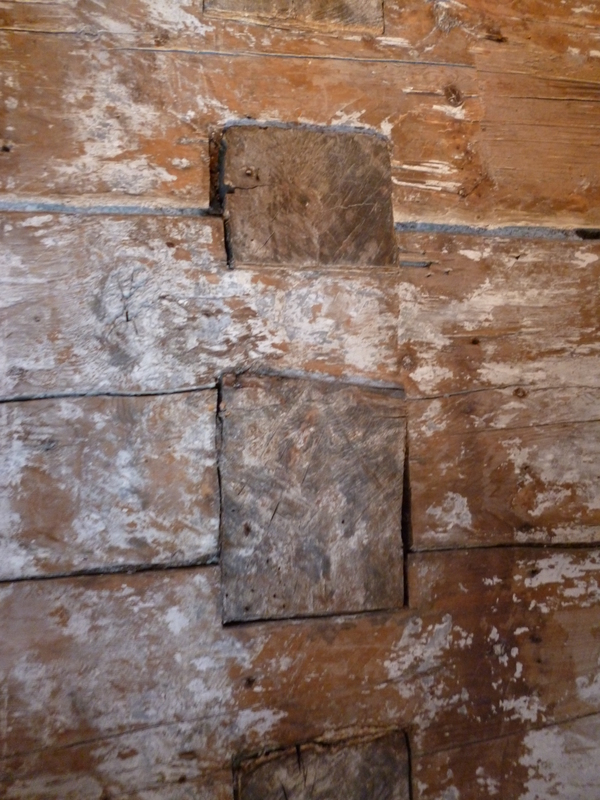 We spent the next day in town, checking out the history of the area. 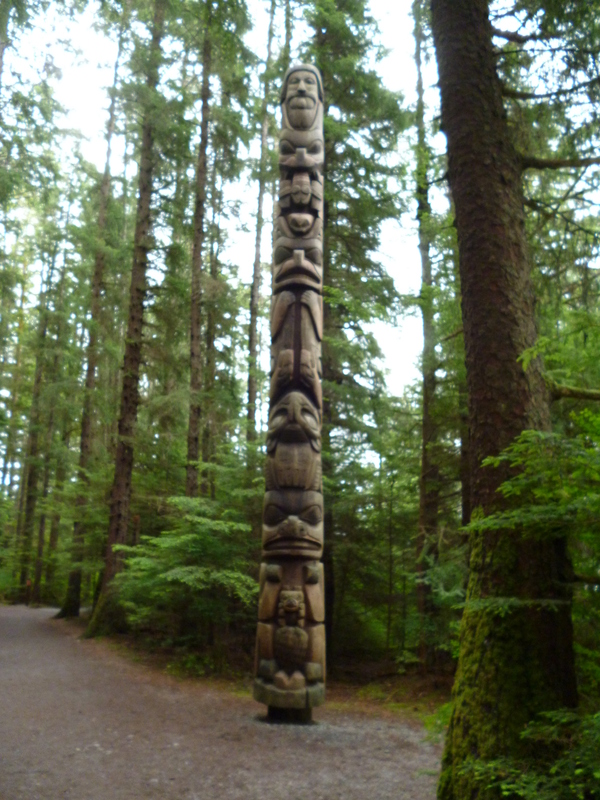 At the end of town is the Sitka National Historic Park where the 1804 battle between the Russians and native Tlingit occurred. 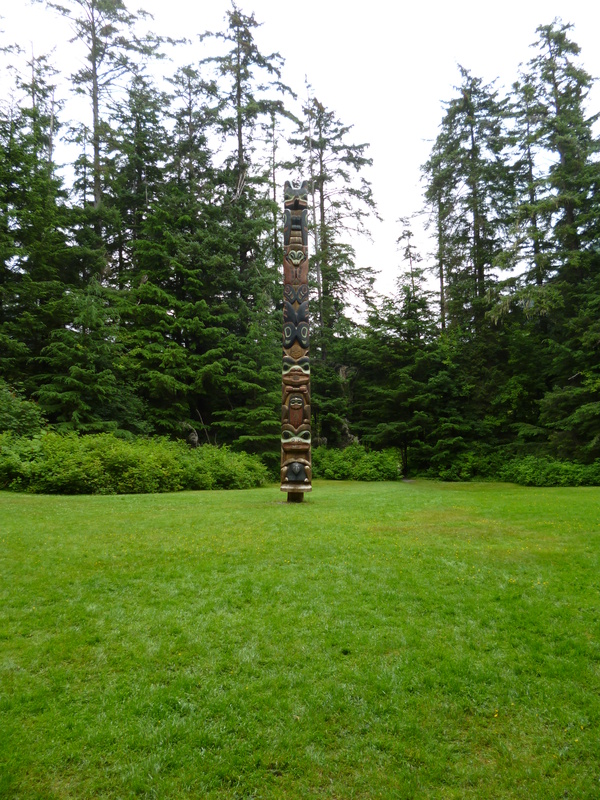 The park is also the home for many totem poles. The Russians first settled Kodiak Island as their main base for fur trading, but moved to Sitka which was rich in sea otters. The sea otter has the densest fur on the planet, over 1 million hairs per square inch. 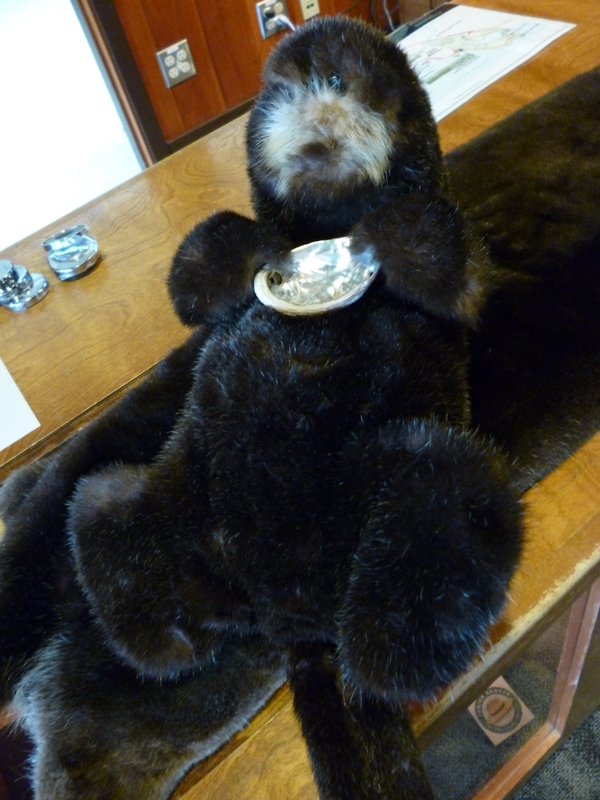 They had a couple in the various museums and wow I could definitely see having a blanket of sea otter fur. One of the park rangers was a native and her mom made her a sea otter cuddle animal out of a sea otter pelt when she was a child. Wow, it was tough to put down. The Russians were not attempting to colonize Alaska and when the fur supply began to go away, coupled with financial issues at home, the Tsar decided to sell Alaska to the US in 1867. 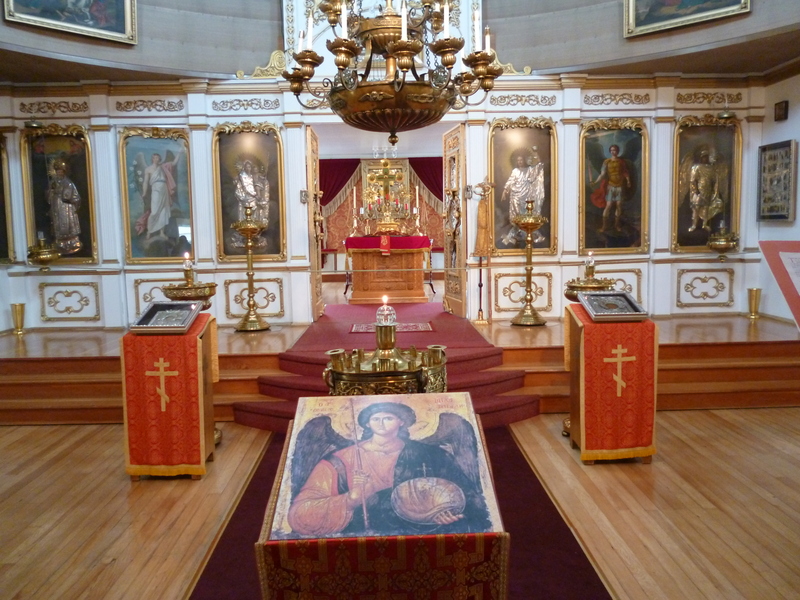 Sitka still has a very strong Russian community in the town as part of its heritage. The Russian Orthodox church in town was very beautiful, where many of the Tlingit converted to Russian Orthodox during the Russian rule of the area. As the political seat of the colony, Sitka also had a Bishop with the power of Russian royalty because there was no separation of religion and state. 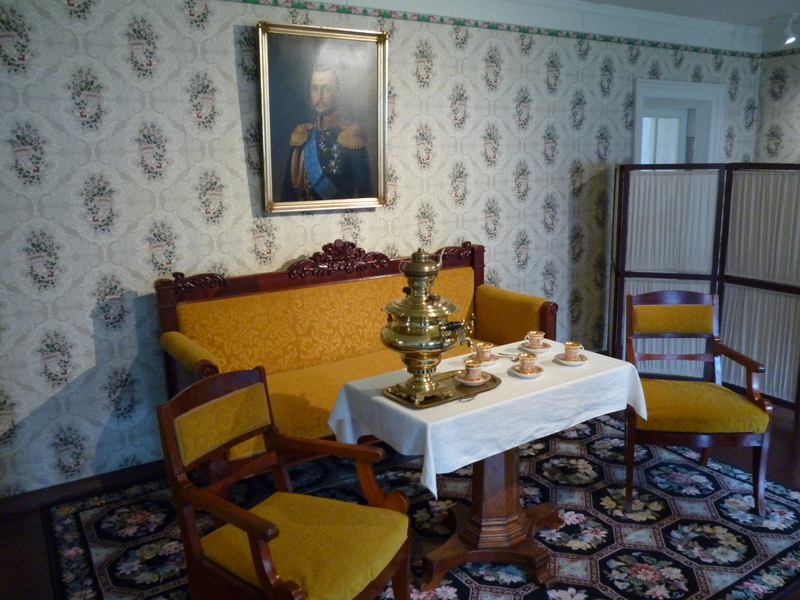 The Bishop’s house is today a part of the national parks to preserve the Russian heritage. The building is one of the very few remaining from the Russian rule and was build like a ship with interlocking wood planks and joints. 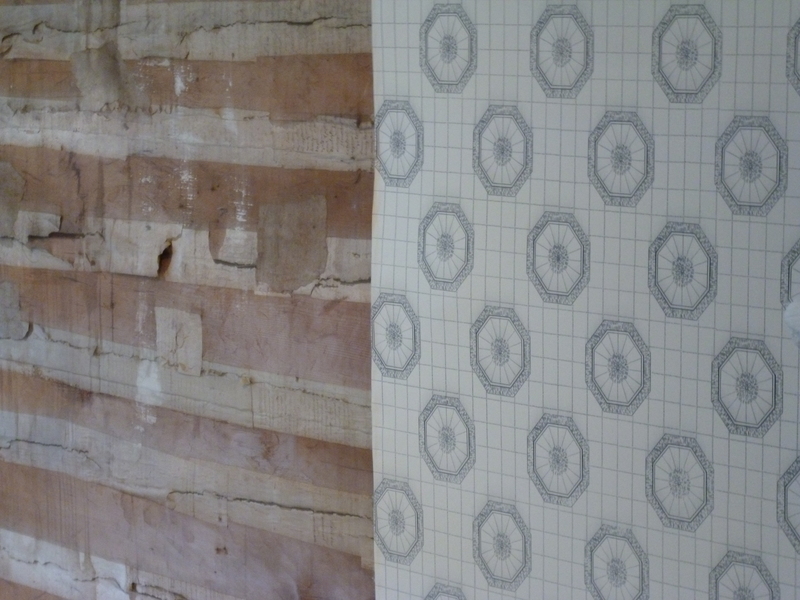 Wallpaper was used to cover the wall planks and seal the air gaps in the joints. The aquarium there was interesting that they had one of the few killer whale skeletons on display. They knew of the other one we had seen in Eden, Australia of “Old Tom”, the Alpha male killer whale for the pod that worked with the local folks to capture and kill local whales for the people and the killer whales to both use. The aquarium had a fish hatchery that trains others how to properly raise salmon for release to keep the billion or so salmon that are critical to the entire food chain. 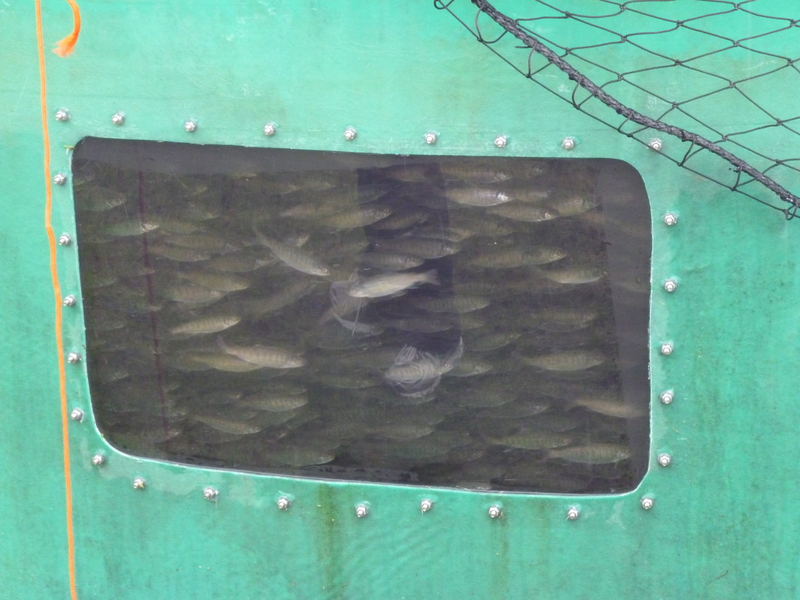 These Coho salmon were in tanks ready to be released next spring. The pink salmon were in the bay jumping and ready to start their spawning run up the local rivers in the coming weeks. The aquarium also had a chowder booth where the chowder was from a local bistro. It was clam and chorizo chowder with a chunk of rosemary potato bread on the side. I wasn’t sure on this combo, but boy was it good. Our last stop was at the Sheldon Jackson Museum in town. 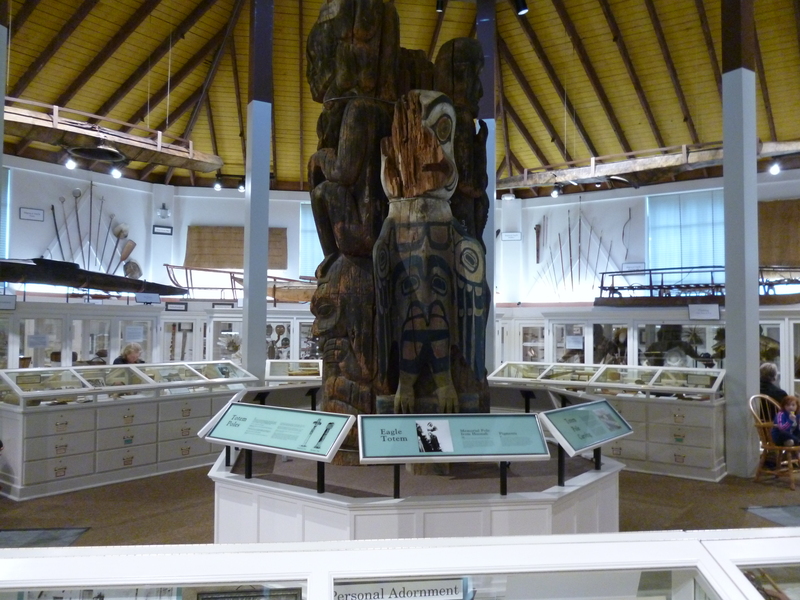 Jackson collected many Alaskan native people artifacts between 1880 and 1900. The collection was impressive and included many daily life items such as baskets, boxes, tools, clothes and jewelry of the native peoples. 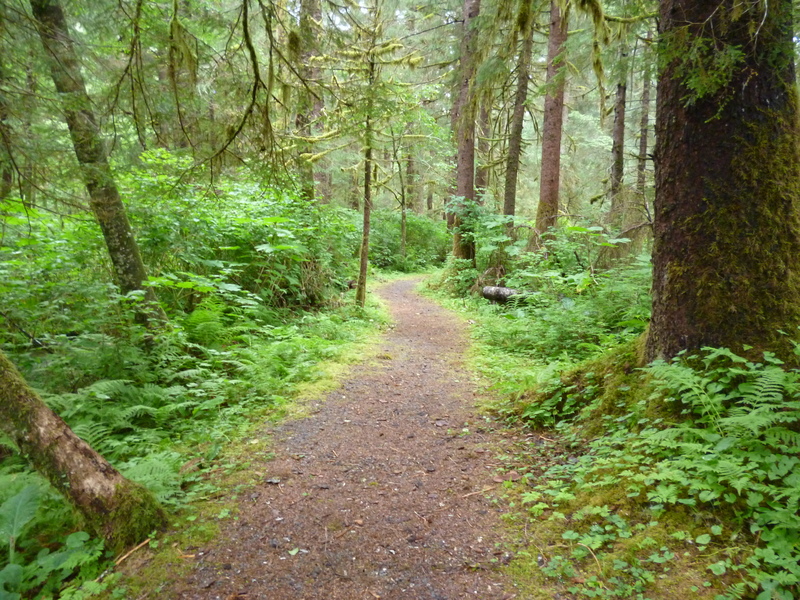 Sitka was worth the adventure of getting there. A very interesting place that I found out has a lighthouse for sale as a residence for only $600k – lol. Maybe Alexander Baranof and I will just kick back in town and see what happens. 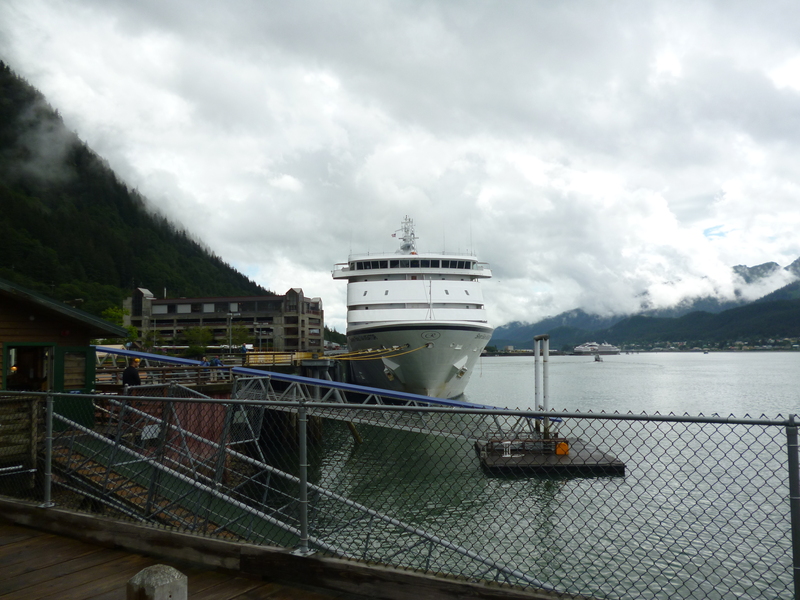 We left Sitka on the M/V Chenega again and arrived back in Juneau for a couple of days to explore there before heading to the interior of Alaska. 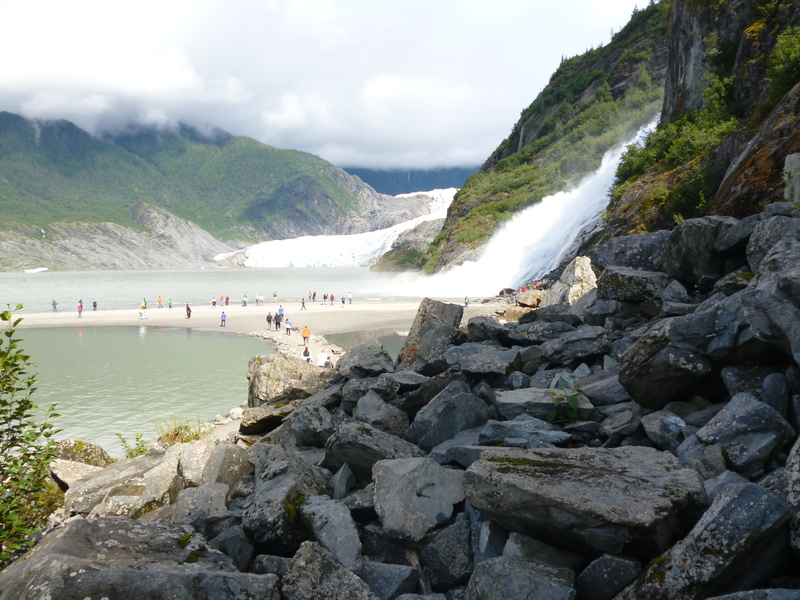 We camped at the Mendenhall Lake Campground and the camp host gave us a great site. 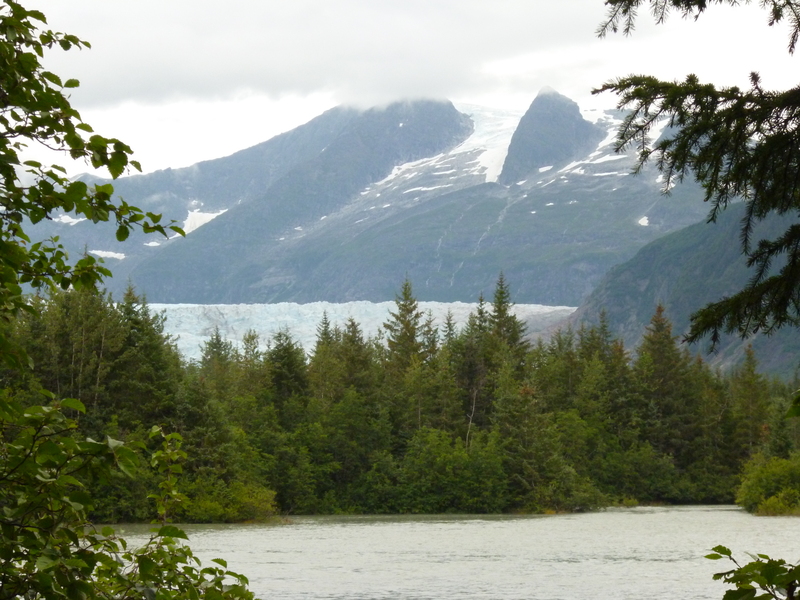 Here is the view from the campsite looking toward the Mendenhall Glacier. 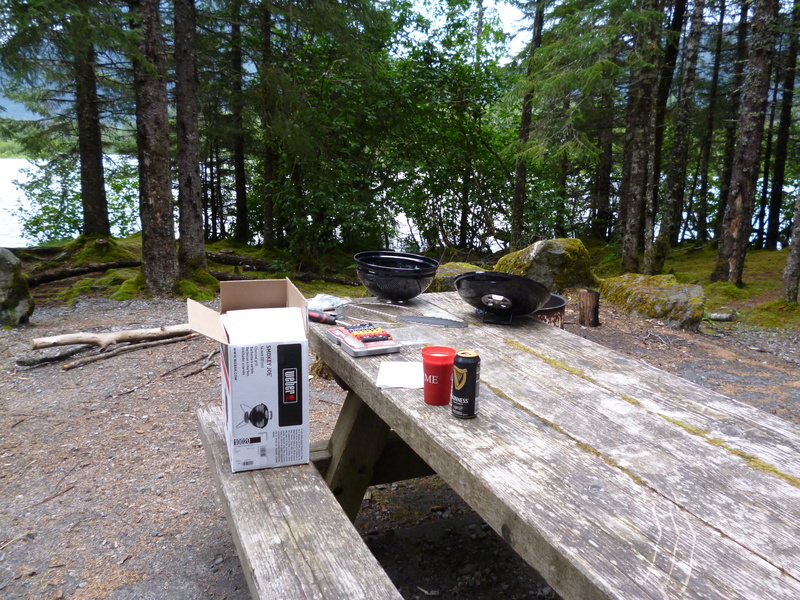 It would have been a top ten spot if someone had not taken my baby weber from our campsite while we were out sightseeing. We bought a new baby weber to replace the stolen one, but it’s not the same. I hope Karma kicks in real soon for whoever took it. 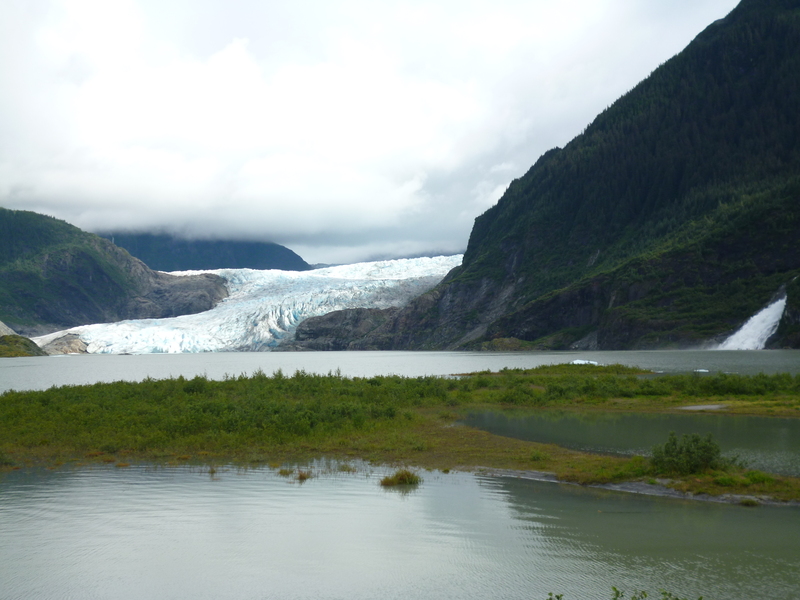 We went to the Mendenhall Glacier and did a couple hikes around the area. The sun broke out from the rain clouds to really show the amazing color of the glacier. The waterfall of the mountain runoff was pretty spectacular too. 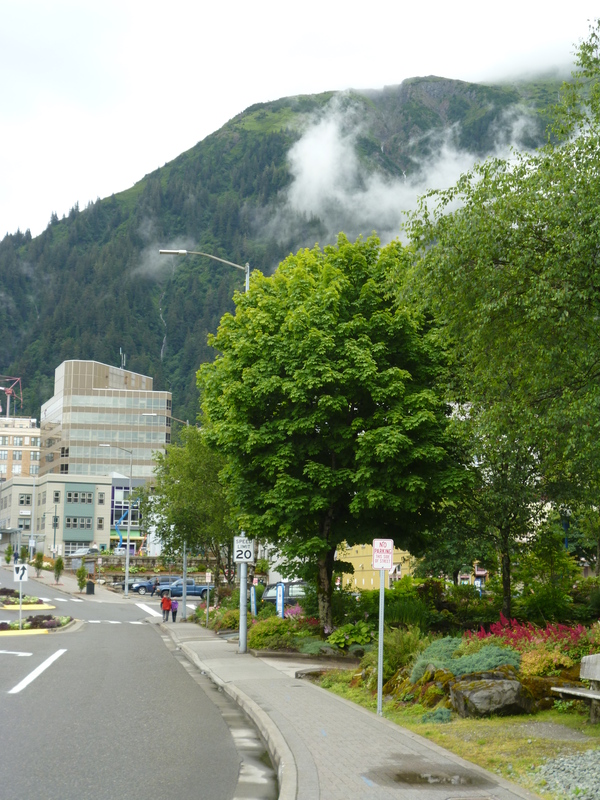 The downtown section of Juneau is small enough to cover the entire area on foot, so we did. 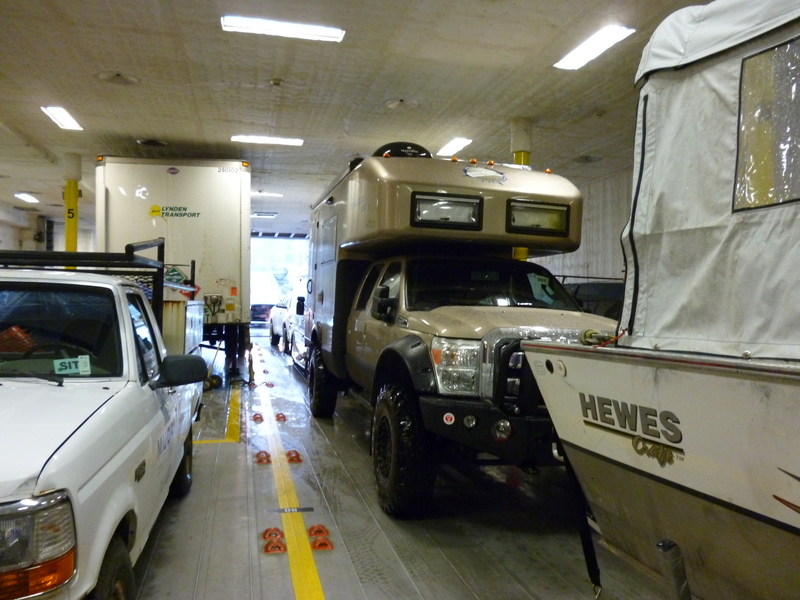 We were warned that the downtown streets would be tight for a rig the size of the Roamer, but it was not an issue. They obviously have never driven through Moab before where mirror removal is highly likely. The buildings in town have a gorgeous backdrop of the mountains. There were five cruise ships in town, which made for a lot of folks walking around town. The folks were also taking advantage of the good weather to book flights on the boat planes that fly out of the downtown harbor. 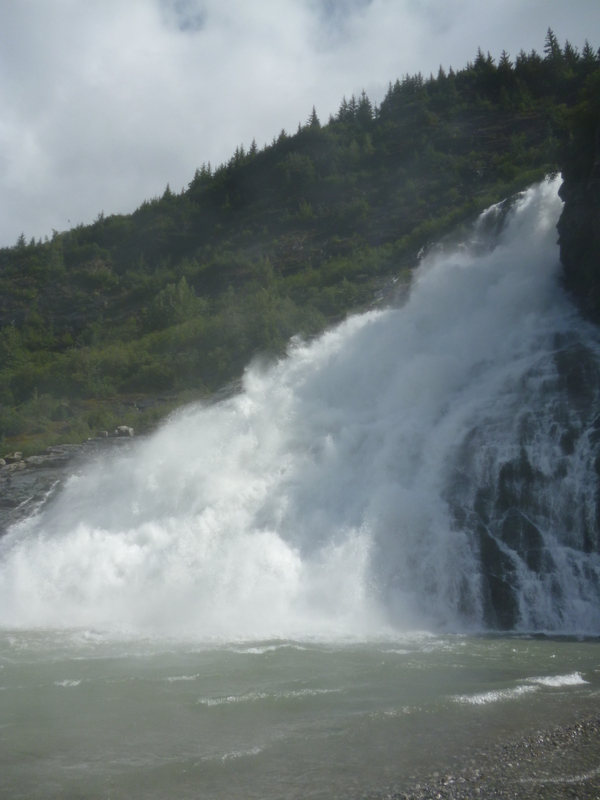 We head for Haines tomorrow and the inland of Alaska. This will end the ferry section of the trip and begin the next leg of our summer journey.